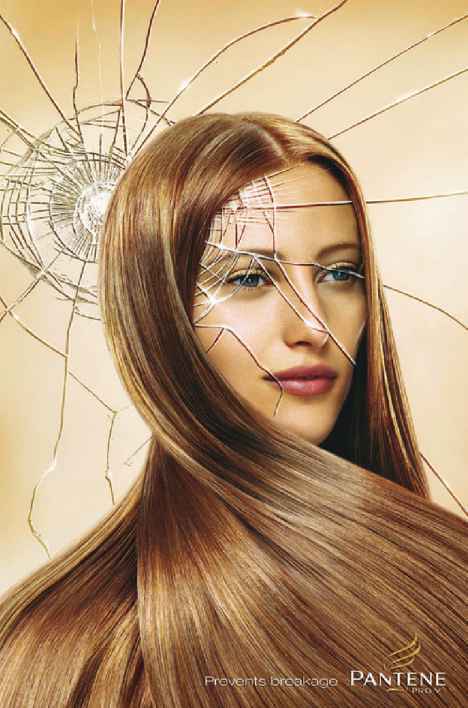 Pantene’s capacity to prevent breakage is demonstrated in this smashed superlite advertisement. Cracks in the shattered glass have not affected the model’s hair. The smashed superlite ad was developed at Grey Melbourne by creative director Ant Shannon, art director Lauren Treiser, copywriter Sally Cunningham, and agency producer Gary Galacho. Retouching was done by Rohan Voight. According to Grey, the outdoor medium was chosen to reach a younger, more socially active audience, which is “not so cost-effectively reached by TV or print”.